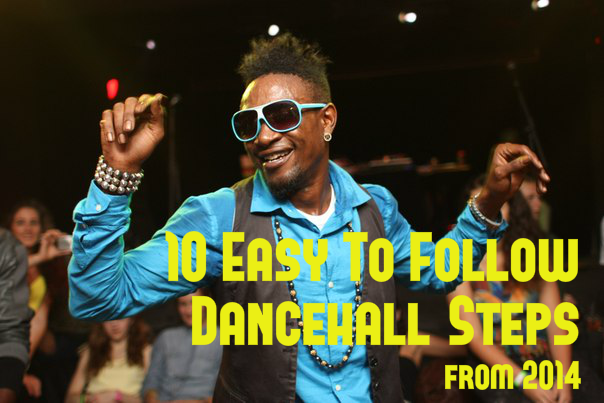 In this post we are sharing 10 of the hottest dancehall steps from 2014. All steps are created by Jamaicans and are more or less easy to follow. With the years dancehall as a dance has evolved a lot. Steps are getting more complex and are more difficult to follow. This is just natural development as dancers always reach for more. Some people say dancehall has lost its spirit because it started out as a social dance made for everybody. It still is, as Bogle said „Everybody can dance, but not everybody is a dancer“. In its beginnings dancehall steps were made of 2 to 4 counts and easy to follow. Nowadays steps can have up to 16 counts and are more complex. But there are still dancehall steps which can be followed easily and performed by everybody. Enjoy the following dancehall steps from 2014 created by recognized Jamaican Dancehall dancers. The story of Mundo Ravers is tragic. He was suffering from a kidney disease since 2007, but never gave up on dancing. He created the step „Do The Right Thing“ and Elephant Man did a song to it. He passed away in January 2015 just after creating the step and shooting the music video with Elephant Man. I really like the flow of the step „Garling“ created by Elite Team. It is energetic as most of the Elite Team steps but also smooth and groovy. Shelly Belly another Dancehall pioneer dancer, he danced together with one of Jamaica’s greatest dancers Bogle. Since the year 2000 Shelly Belly has created many famous steps, e.g. Luggo Luggo, 90s Rock, Cowfoot and many more. In 2014 he created the dancehall step „Fix It“. I really like the positiveness and energy of the ‚Greetingz‘ steps by the BG Dancerz. You may not see its positive vibe in the following demonstration video because the step is performed on a „darker“ song, but watch this video and I think you will get what I mean. Saying hello to each other while dancing, that’s a positive feeling. The step of the summer 2014, but it is still fresh. ‚Summer Jam‘ created by Craig Black Eagle. The step is easy to follow, but it has to be performed with flow and style to tweak it. The song ‚Hot Spot‘ from I-Octane goes very well with the step. The song underlines its summery and easy flow. Check this choreography created by Jr Black Eagle. ‚Godzilla‘ is an energetic step inspired from gorilla movements. The step was created by Trice from Rifical Team. Another step by Rifical Team ‚Shub Dem Away‘, this step is much smoother and more relaxed than ‚Godzilla‘. Shub dem way means turn somebody or something away … „all the money problems and stress away“ … You can find similar expressions a lot in the Jamaican language usage e.g. „Tek Weh Yuhself“, „Go Away“. The song „Shub Dem Away“ is from QQ. Bazzle is a dancehall step created by Overload Skankaz. It is a step of the Huxxx steps series they worked out in 2014. Next to Shampoo and Way Up Stay Up, Kreecha is one of the most played dance tunes 2014 at Jamaican party dances. Please note! This is just a selection of steps. Many more great dancehall steps were created in 2014. Please look out for a part 2 and subscribe to our newsletter. Big up all creators and dancers! You want to learn how to dance Dancehall? Get in contact with us, write us an email to info@watchmistep.com . We have contacts all around the world and can advise you were to look for a dancehall class in your area.